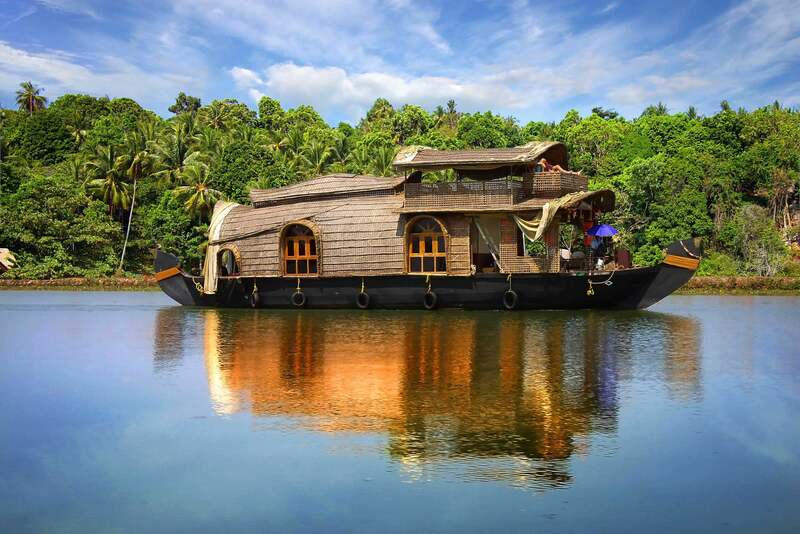 Situated on India’s tropical Malabar Coast, Kerala is known as God’s own country and is known for its palm-lined beaches and its backwaters, a network of canals popular for cruises in luxurious houseboats in the daytime or on an overnight trip. The crisp, clean climate and the slopes of mountain range of Western Ghats make Kerala an ideal home for tea, coffee and spice plantations as well as abundant native wildlife. The dense woodlands have an abundance of herbs and medicinal plants, gaining it an ideal destination for traditional Ayurveda treatment for ailments and massage resorts to rejuvenate your mind and physical structure. The timeless beauty of the palm fringed beaches of Kovalam, the majesty of the undulating hills of Munnar and the serenity of the pristine backwaters of Kumarakom will have you bowled over. Charming beaches, diverse cultures, performing arts, architectural churches, temples and synagogues, wildlife sanctuaries, flavorful cuisine make Kerala a destination of a lifetime. Arrive Cochin airport and upon arrival you will be greeted by the local representative and transferred to your hotel. Relish a delicious breakfast and later proceed for Cochin city tour. 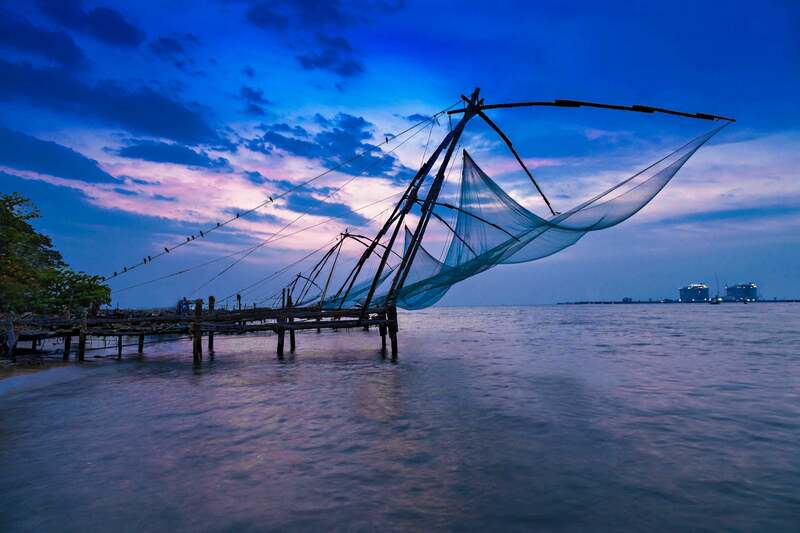 Proceed for a private guided Cochin city tour to the Dutch Palace or Mattancherry Palace, which was built and gifted by the Portuguese to the king of Cochin. Inside you will see a fine collection of beautiful murals depicting Hindu religion, ceremonial robes used by royals, coins, ornaments and weapons. Next, visit to the Jewish Synagogue a marvelous place of worship, from the ceilings hang ornate glass chandeliers, three scrolls of Torah are kept in gilded and embossed containers of metal. Visit fort Cochin, a reminder of the colonial times, the churches, bungalows and forts still bear the influence of European architecture. Fort Cochin is a tranquil experience at any time of the day. In the evening, attend a dance performance of the ancient art of Kathakali. 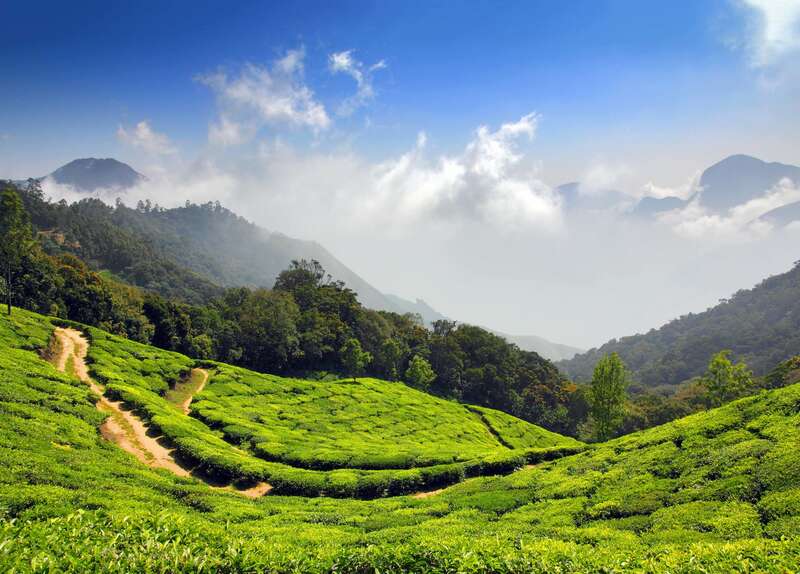 Enjoy breakfast and then travel to the beautiful hill station of Munnar, known for its tea plantations. Check-in at the hotel and later visit one of the tea plantations. At the tea plantations, watch the tea pickers around the hills picking green shoots of leaves, balancing their tea baskets and walking on the steep sloppy terrain and doing their work diligently. Visit the Kannan Devan tea museum to see the tea production process, Tea lovers will be pleased to taste different varieties of tea from the tea tasting center. Next visit the Munnar town and Sita Devi Lake with its mineral waters and picturesque surroundings is a good picnic spot. Spend the remainder of the day at leisure. After breakfast, set out to visit Eravikulam National Park, situated along the crest of the Western Ghats, which is home to the endangered mountain goat, the NilgiriTahr. Walk along the slopes of the hills and find beautiful Orchids and wild blasms growing wild. Anamudi, the highest peak in South India. If lucky, you may spot many mammals like the Sambar deer, golden Jackal, Nilgiri langur to name a few. Going to Munnar and not drenching yourself in the aroma of sandalwood will be a great miss. 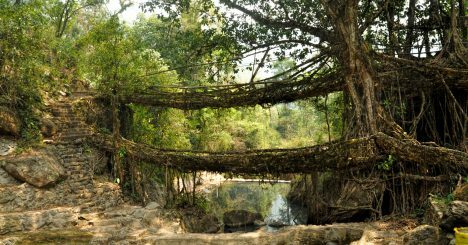 To enjoy the sandalwood jungle, the awesome waterfalls, wildlife, Caves and rock paintings dating back to some hundred centuries etc, a visit is essential to Marayoor. Visit a yet another serene and tranquil lakeside spot known as the Echo Point. This is a must visit for someone who wants a moment to admire the scenes around and wants to have some fun along the way, echoing his or her voice. Spend your evening at the Mattupetty Dam Lake that looks like a picture out of a Swiss postcard. Surrounded by lush green meadows teeming with plump cattle, forests brimming with the most colorful and melodious birds and mountains whose peaks have been swallowed by mist, this azure lake is the perfect venue for leisurely boating. Return to the hotel and enjoy the rest of the day at leisure. After breakfast, drive to Periyar. Periyar is set in the heart of the Cardamom Hills of Kerala. On arrival, check-in at the hotel. Visit a spice plantation, where upon your arrival, you will smell the fresh aromatic air, and walk through the cardamom, pepper, cinnamon, nutmeg and cloves winding pathways. The tour will give an insight into the growing, harvesting, and processing of spices. Return to the hotel. 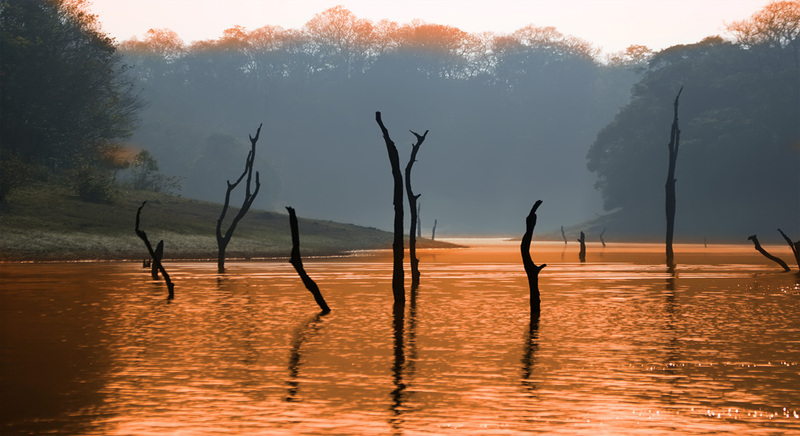 After breakfast, drive to Periyar Wildlife Sanctuary, which is one of India’s major wildlife sanctuaries. The sanctuary offers boat rides on the man-made lake, a comfortable way to observe these animals in their natural surroundings. Later, travel to Kumarakom. 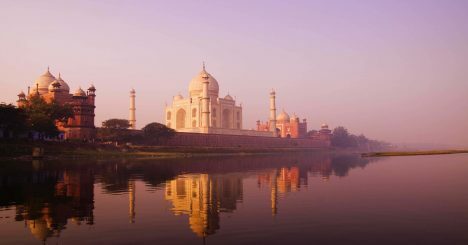 After breakfast at the hotel, embark on a houseboat on a day and nights cruise. 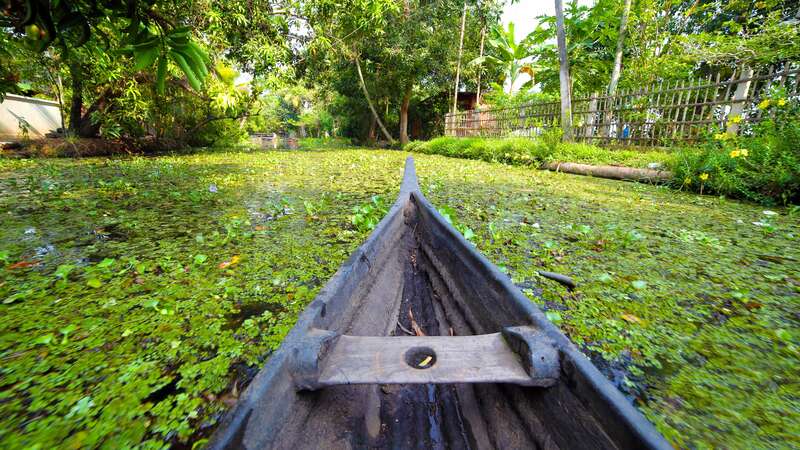 Cruise along a long stretch of lake filled with water lilies and lotuses, paddy fields, swaying coconut palms and mangroves, charming houses, temples, churches, and other scenic delights. Enjoy theluxury houseboat, which was originally a rice boat and later converted into a comfortable luxury houseboat with all modern amenities (comfortably-furnished bedrooms, cozy living rooms, dining area, and open balcony) ideal for a leisurely cruise. After breakfast arrive Alleppey, known as the Venice of the South. Disembark from the houseboat and travel to Kochi. Rest of the day is at leisure until it is time to transfer to the airport in order to catch your onward flight.